A government watchdog report released yesterday is raising questions about an $8 billion dollar taxpayer program meant to help house the poor. The report by the Government Accountability Office found that the Low Income Housing Tax Credit program (LIHTC) is vulnerable to fraud because of a lack of oversight and data on costs. 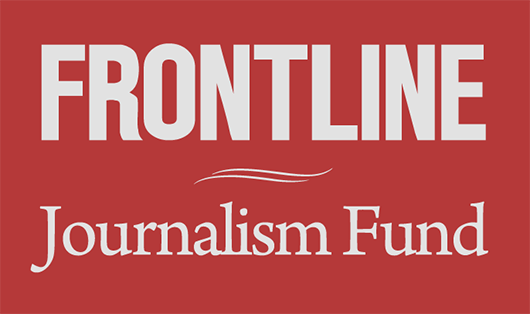 Concerns about the costs of the program were the subject of a FRONTLINE and NPR documentary, Poverty, Politics and Profit. The LIHTC is the nation’s largest housing construction program for low-income renters. About 20 million families are what housing experts call “rent burdened,” meaning they pay more than 30 percent of their income to keep a roof over their head. Of those, 11 million pay more than half of their income in rent. So at a time of growing need for affordable housing, FRONTLINE and NPR wanted to understand how well this program accomplished its primary mission: creating new units for low-income families. To do so, FRONTLINE and NPR analyzed data from the program between 1997 and 2014 and found that the annual number of units dropped 16 percent while the annual cost of the program to taxpayers increased 66 percent. The film tried to understand that discrepancy and explored one potential explanation: fraud, which was an increasing concern to federal investigators. They’d found several instances in which developers padded their pockets through shell companies and kickback schemes. Those cases illustrated that the program required developers to submit only limited accounting about how they used taxpayer money to state agencies, which makes it harder for regulators to spot fraudulent transactions. The watchdog report flagged the same concerns. The report, which surveyed 12 states, found that the median cost of each unit ranged tremendously by state, from low of $126,000 to a high of $326,000. Some individual projects were almost double that. At the same time, the report noted, few agencies had a requirement to help “guard against misrepresentation of contractor costs” — which it said was a known fraud risk. “Because the Internal Revenue Service (IRS) does not require such certifications for LIHTC projects, the vulnerability of the LIHTC program to this fraud risk is heightened,” the report stated. In practice, just five of the 12 states surveyed had any tracking for construction costs — and the agency was only able to identify four other states that do so. The report also found that because the federal government has limited data, it was unable to adequately oversee the efficiency and effectiveness of the program. The GAO recommended designating a single agency to better collect and analyze LIHTC costs. The IRS, which oversees the program for the federal government, disagreed with this recommendation, saying it did not have authority to collect all the information the GAO requested.